Aussie Rescue in Michigan | A rescue for Australian Shepherd dogs in the Michigan area. The Australian Shepherd Rescue in Michigan (ASRIM) was founded in 2006. It is a non-profit canine rescue organization recognized by the IRS as a 501(c) (3) Public Charity. It is also registered as a Charitable Trust by the State of Michigan. 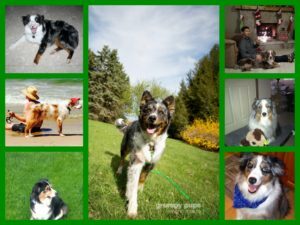 ASRIM supports the rescue, fostering, veterinary care, grooming, boarding and adoption of Australian Shepherds primarily in Michigan, but also in contiguous states and provinces as resources allow. ASRIM does not take in or adopt out dogs directly but is associated with Animal Placement Bureau in re-homing Australian Shepherds in need. ASRIM is supported by 50+ unpaid volunteers who help to transport, pull aussies from shelters, fund-raise, do home visits for potential adopters and most important of all open their homes to foster the dogs who are waiting for their forever homes. Since 2014, ASRIM has taken in and placed over 120 Australian Shepherds and given them their FOREVER homes. We have tested 55 dogs for the MDR-1 gene since we received our Australian Shepherd Club of America’s grant in December of 2015. In the past few years we have had 3 dogs treated for heart worm disease. One dog had TPLO surgery. One dog had FHO surgery and after surgery required water therapy. Youngest dog we took in was 6 months old—-Oldest dog was 13 years old. We rely on the tireless efforts of our volunteers and the donations of our supporters to help in our rescue and rehabilitation efforts. If you have an Aussie that you love, know someone who does or just love the breed, please consider making a donation to ASRIM. Your donation is tax-deductible.